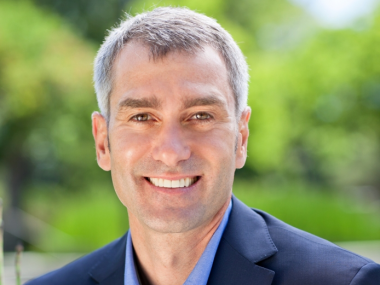 Earlier this week, Hewlett-Packard gave Bill Veghte, its executive vice president for software, a new title: Chief Strategy Officer. The job has been vacant since Shane Robison retired last year. Veghte joined HP in 2010 after 20 years at Microsoft, where he managed the $15 billion Windows business and oversaw the launch of Windows 7. At HP, he has been credited with growing its software revenue by 18 percent last year. Given Veghte’s history as a software guy, his appointment to this role can’t help but be seen as a key signal by CEO Meg Whitman of the role she sees software playing in HP’s strategy going forward. That was one of the things I asked Veghte about when we spoke by phone earlier this week. AllThingsD: What, in your view, is the role of the chief strategy officer at HP, and what do you expect it to entail in the coming year? Bill Veghte: As we’re out talking to customers, they’d like to buy more from HP; they’d like HP to be more successful. They look at the advances we’re making in networking or storage or printers, but they want to know why the whole is greater than the sum of is parts. What is HP’s strategy for continued leadership in the market transitions that are going on? And some customers would say that where HP is concerned, that’s not a fully realized opportunity. And you’re coming at it from the software part of the business, and we’ve heard from Meg saying she’d like to grow opportunities in software. Your appointment, to me, sends a bit of a signal that software is going to be a big part of HP’s strategy to get things turned around. Is that accurate? I think, certainly, as I talk to Meg and Ray [Lane, HP chairman], and with the members of the executive committee, I’ve found that this is a catalyzing role. If done right, there are different models of strategy in different Fortune 500 companies. And the one that makes sense here is catalyzing with other business units. Whether that’s Vijay Joshi in printing and imaging, or with Todd Bradley in PCs, or John Visentin in the enterprise group, there’s a strategy that each one of those is trying, and which is accretive to a whole that is greater than the sum of the parts. And so, to the extent that software is glue or networking is glue, I think it’s a statement that has more to do with a pan-HP strategy than something that’s specific to software. What’s Job One, starting on your first day? Job One is making sure that as we have those conversations with customers, they see an HP that is unified around a set of constructs and offerings that deliver what they need. It’s different from having offerings that are, by themselves, individually great. It’s about having unifying themes and constructs. It seems that you’re talking about finding a way to routinely and thoughtfully combine different things that HP makes or does, in ways they aren’t being done now. Is that what you’re getting at? I think that very accurately characterizes the opportunity. When we talk to the leadership team, we hear a lot of the same thing. There is a lot of great stuff within HP, whether you get that in terms of market position, or IP, or people. I like how you put that: How do you routinely and thoughtfully combine things, particularly in light of the market inflections that are happening. We are in a tectonic shift, and that can be an opportunity, if you clearly spell out the value proposition for customers. Not only in each one of the units, but where you’re thoughtfully combining them so that the whole is greater than the sum of its parts. I thought of an example around meeting the needs of the market. There was an IHS iSuppli report out earlier this week about cloud servers, which are growing. But customers are going to Taiwanese ODM companies to get customized products, while at the same time cloud servers are growing generally. Is this the sort of thing that might affect HP? I was talking to Dave Donatelli [general manager of Enterprise Servers] about this recently. It’s interesting, because it seems like in more recent months it has flipped back, because of the integration within that customization. A great example that Dave and I have been working on is the whole cloud system piece. You’ve got a lot of great stuff in automation and orchestration software that is inherently cross-platform, and which crosses virtualization engines and marrying that deeply with the converged infrastructure. We’re the only company that can give you a single stack, soup to nuts, from a single vendor. The core construct is that there’s a lot of private cloud build-out going on, and those customers who are doing it are saying they don’t want to be the systems integrator for six different vendors, and they also prefer not to be locked in to a single vertical stack. That’s a huge advantage for us. And to your point about routinely and thoughtfully combining, we should do exactly that. It’s been doing well for us in the marketplace, but how do you make that routine against the opportunities we see in the marketplace? You spent about 20 years at Microsoft. How does that inform what you’re bringing to this job? At the core, any of these jobs are about identifying and exploiting market shifts for customers. I had the privilege of having a front-row seat during some big marketplace disruptions, and helping catalyze businesses and delivering superior market positions and solutions. It’s all about handling change, and turning it into an opportunity.